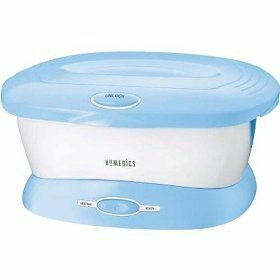 The HoMedics Paraspa Plus Paraffin Bath is a low cost hot paraffin wax therapy bath that I use. I learn about the usefulness of these wax baths in Carpal Tunnel Syndrome hand therapy, used them at their facility, and decided to buy my own. TherabathPRO makes a professional grade model that my hand therapy clinic has. They are helpful in treating RSI or carpal tunnel syndrome. I use it about 3 times a day for hand therapy for Carpal Tunnel Syndrome or RSI and it helps warm my hands and improve circulation and muscle extensibility. Wrap your hands in a blanket, towel, or even a warming pad to provide some additional insulation. It is messy, so try to keep some material to protect your counter tops, around the paraffin wax bath unit. A lot cost paraffin refill is the Therabath Refill Paraffin Wax – ScentFree, 6 lbs helps for carpal tunnel syndrome. 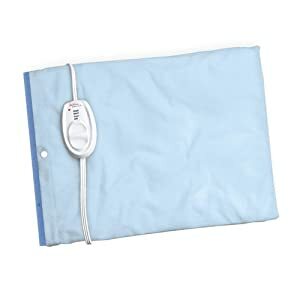 Heating pads are also useful in battling carpal tunnel syndrome or RSI. They help ease the pain. I limit exposure to about 10 minutes to prevent swelling due to excessive heat. You probably use a computer, download a tool to force you to take breaks after a certain amount of time. Paraffin wax is known for retaining a great amount of heat as it has a good absorbing power. When one uses a paraffin wax bath, the wax goes through a phase change and starts melting and becomes. The paraffin then takes the shape of a coating on the dipped part of the hands or feet. This way the heat present in the paraffin bath is transferred to the affected area where you are experiencing pain.